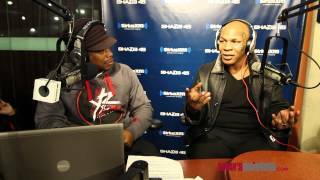 Mike Tyson Tells Story When Brad Pitt Was Scared of Him on Sway in the Morning Subscribe to our page: http://bit.ly/SVsBQC TWITTER: http://twitter.co... CHART. Quentin Tarantino Responds to the Criticism of Using the N-Word in "Django Unchained"
Mike Tyson vs Muhammad Ali - Who Wins?